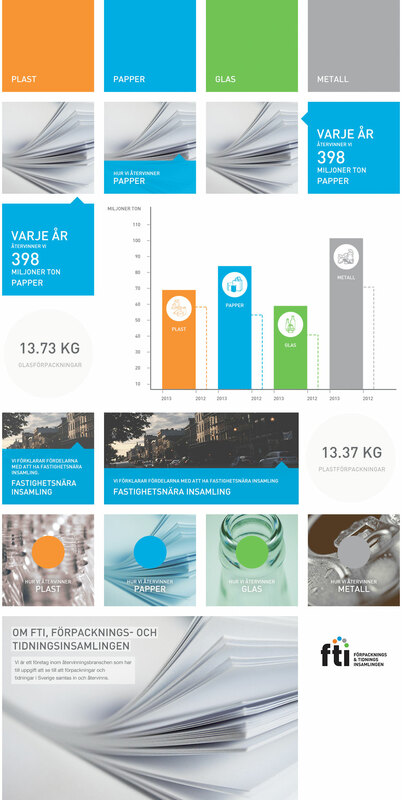 FTI is a company in the recycling industry that serves to ensure that packaging and newspapers in Sweden are collected and recycled. The assignment was to develop a new visual identity for the web that followed their erstwhile fastidious offset profile. 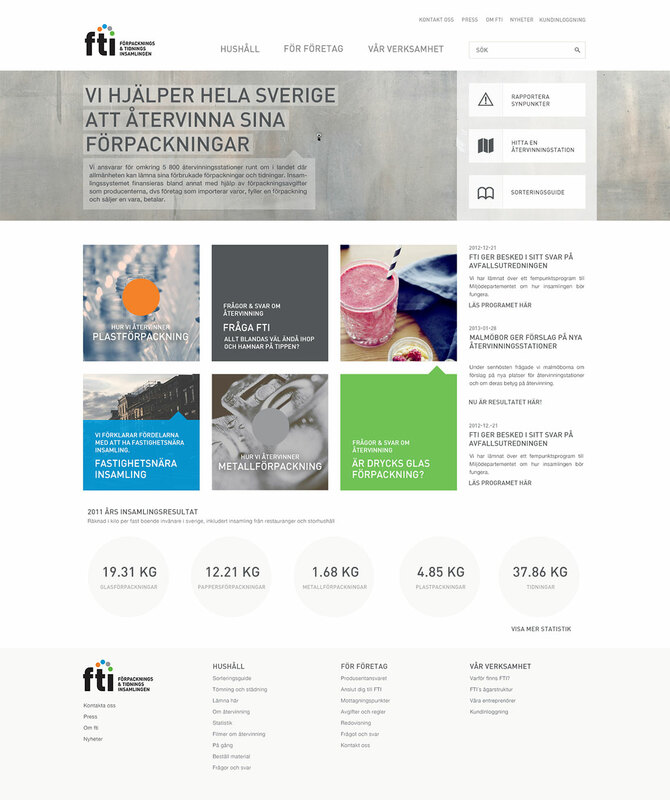 The website must feel serious, it is important that FTI is credible… without beeing boring! Rather, it is environmental awareness that is important, a “green feeling”, and to ensure that information feels accessible. FTI stated that the business plan’s key words communicated the right feeling: simplicity, clarity, evidence-based and responsive.